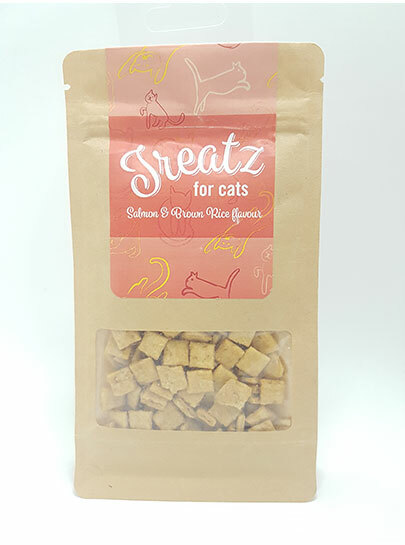 These are high value treatz for cats that they will find irresistible. Salmon & Brown Rice Ingredients: Salmon, brown rice, oats, wheat flour, vegetable oil, digest, eggs, water. Chicken & Spinach Ingredients: Chicken breast, spinach, oats, wheat flour, vegetable oil, digest, eggs, water. Ostrich & Oats Ingredients: Ostrich, oats, wheat flour, vegetable oil, digest, eggs, water. Mackerel & Maize Ingredients: Mackerel fillets, maize, wheat flour, vegetable oil, digest, eggs, water. Introducing the ALL NEW Pawbreakers Royal now with added vitamins! A treat and a toy in one and vitamins at once! Pawbreakers is an all natural catnip rolled into a solid edible ball. Your kitty will go crazy over this. The Lekker Barkery presents Ostrich Biltong. 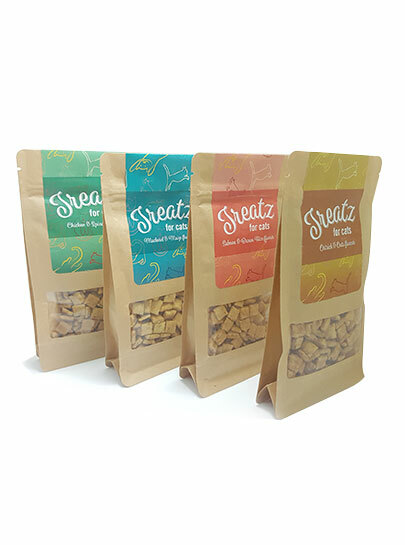 Hyper-allergenic and low fat dog chews Fantastic in taste. Ideal for sensitive skin and tummies. Excellent as good behaviour reward or after dinner treat. Every pet deserves a treat, whether to affirm good behavior, an in-between snack or to celebrate! But what biscuit or treat to give? Any biscuit that contains sugar, diary or preservatives is no good and can lead to a variety of adverse medical conditions like skin allergies. Vondi’s stock and produce a variety of tasty, but healthy biscuits that you can comfortably feed without feeling guilty or putting your pet’s health at risk. Jenny Morris is one of South Africa’s most popular celebrity chefs. Together with Vondi’s, they have developed a range of health biscuits for dogs ,puppies and cats. 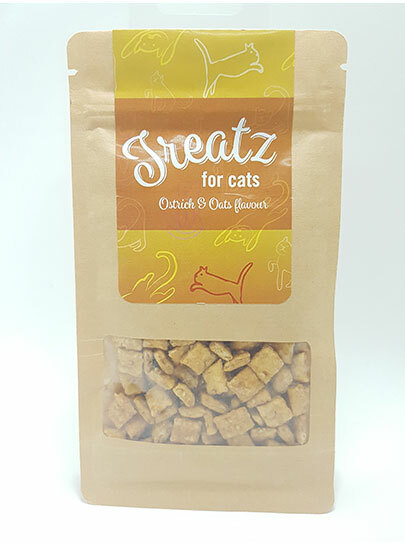 Vondi’s Jenny Morris Catnip Crunchies – 200g Completely natural and preservative-free. Catnip Crunchies also includes whole egg, lemon grass and fresh catnip. The Lekker Barkery presents Venison Droewors 100% natural handmade pet treats. Ideal as a good behavior reward or after dinner treat. Every pet deserves a treat, whther to affirm good behaviour, an in-between snack or to celebrate! But what biscuit or treat to give? Any biscuit that contains sugar, diary or preservatives is no good and can lead to a variety of adverse medical conditions like skin allergies. Vondi's stock and produce a variety of tasty, but healthy biscuits that you can comfortably feed without feeling guilty or putting your pet's health at risk. Jenny Morris is one of South Africa's most popular celebrity chefs. Together with Vondi's, they have developed a range of health biscuits for dogs. 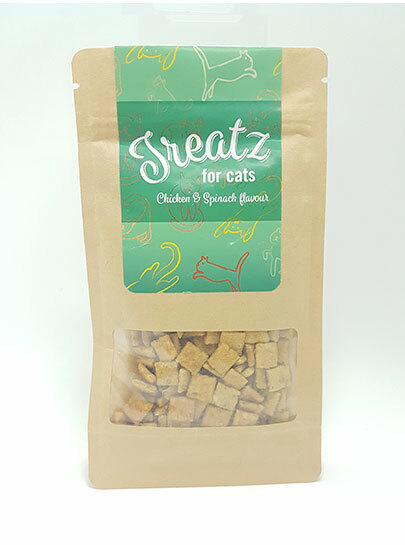 Delicious & nutritious, our fresh poultry & fish are gently freeze-dried, concentrating their natural flavours into a treat your cat will love! 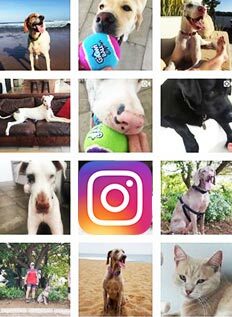 The Lekker Barkery presents Marvellous Meat Bites. 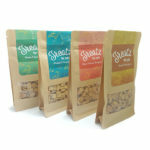 A popular tail-wagging dog treats. 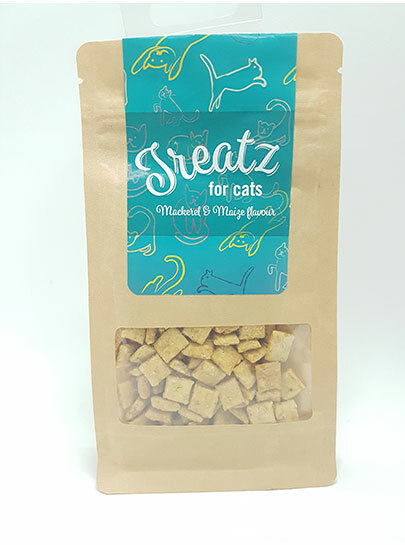 100% natural hand made pet treats. Fantastic in taste. Ideal as a good behaviour reward or after dinner treat.